BODY IS WORKING OUT NOW! – UK + EU + ‘rest of world’ (12″ only) order via Barely Regal Records. – USA + Canada (12″ only) order via Kingfisher Bluez. 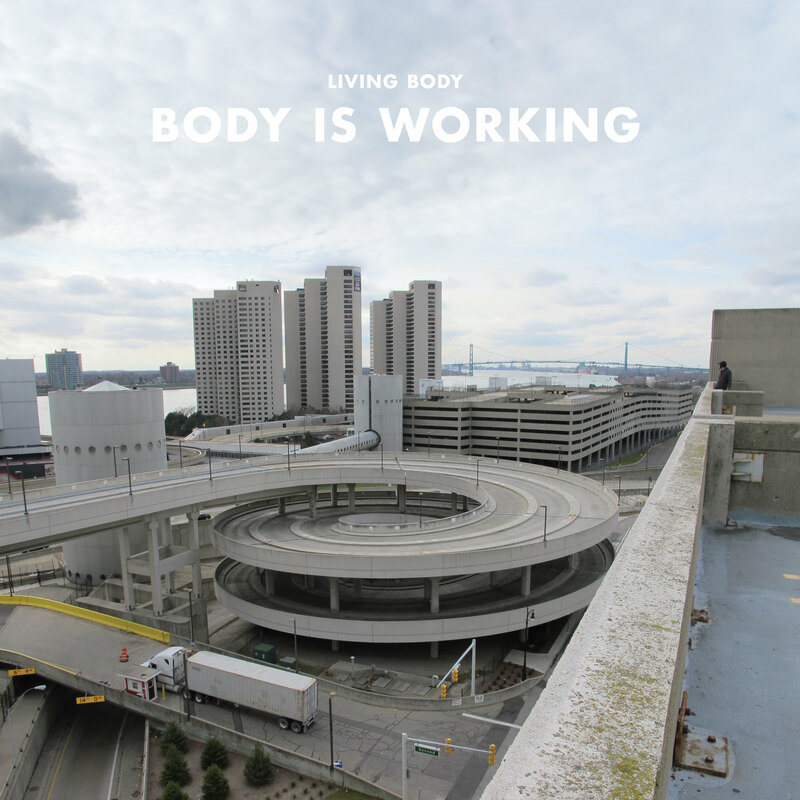 – If you want a download or CD, please visit the Living Body Bandcamp. We’re playing a bunch of songs from the record at our upcoming LP launch tour, which kicks off next week in Sheffield. Check out the gigs page, to see where we’re headed. LP coming soon, here’s a sneak pk! Back around the time of the “Sonic Cauldron” concert, I had this weird a dream where I was going through piles of storage with an old bandmate from college. We found a CD-R which we believed to contain some of our old demos and when I put it on, this is what came out of the stereo. I immediately woke up and wrote this song, “I Recollect”. Today, it is now premiering on Stereogum, along with details of our December LP launch shows. Come see our faces in the UK in these places… we will have RECORDS! – USA + Canada preorder via Kingfisher Bluez. – UK + EU + ‘rest of world’ preorder via Barely Regal Records. 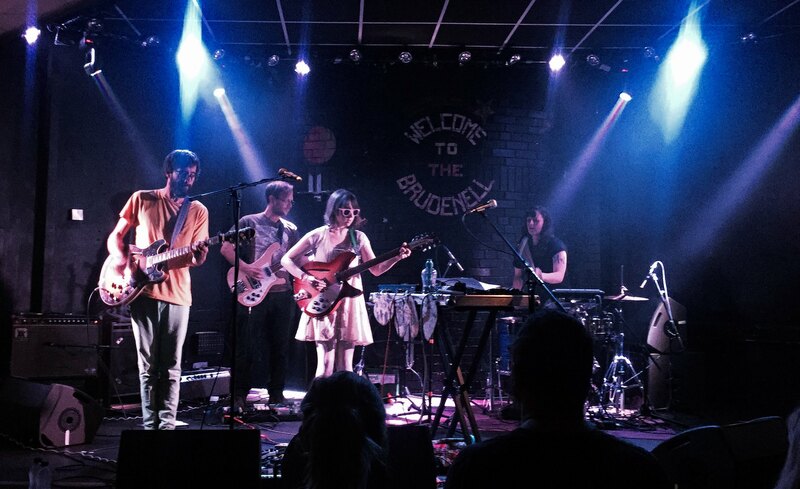 If you’re planning on coming to the LEEDS album launch show, you can get FREE ENTRY to the concert when you preorder the record from this website. That’s all for now. Long live Living Body bicep emoji. In other news, we’re doing some gigs and festivals in October. Come show your faces! 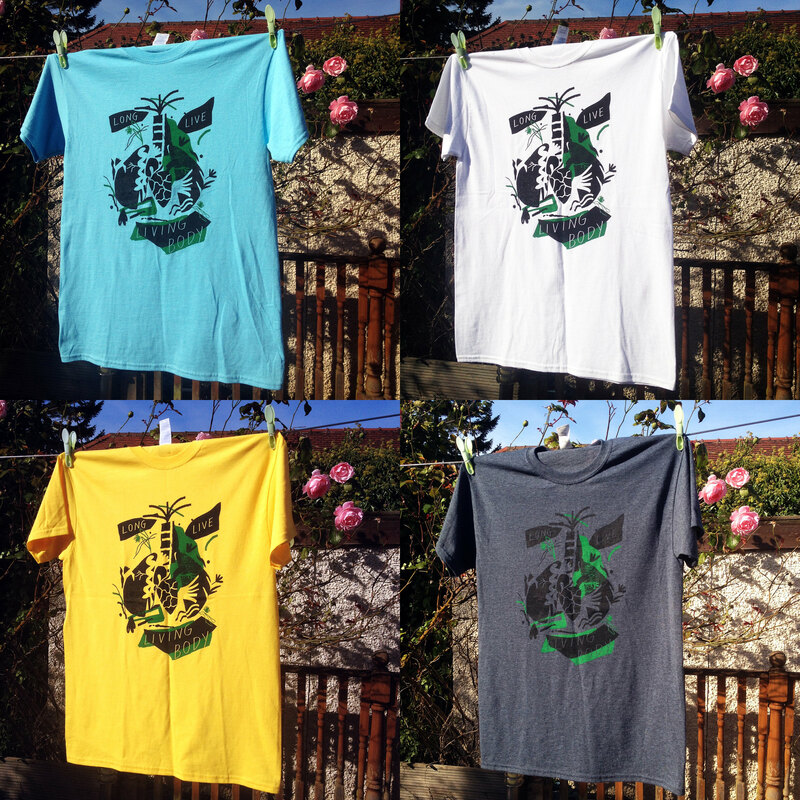 Festivals + gigs in October, t-shirts now on sale, etc. 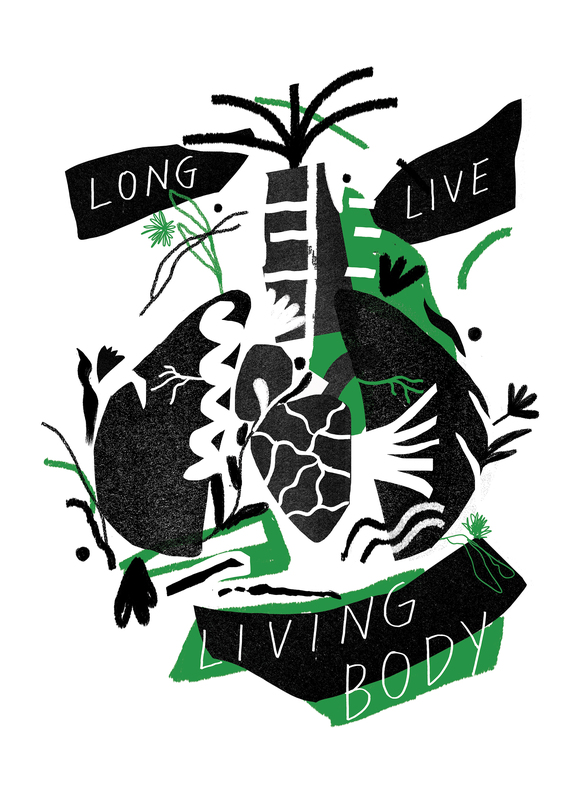 The shirts are now available from our new online shop (AKA the Living Body Portal of Internet Commerce). Pick one up to help us fund our LP pressing and look great! 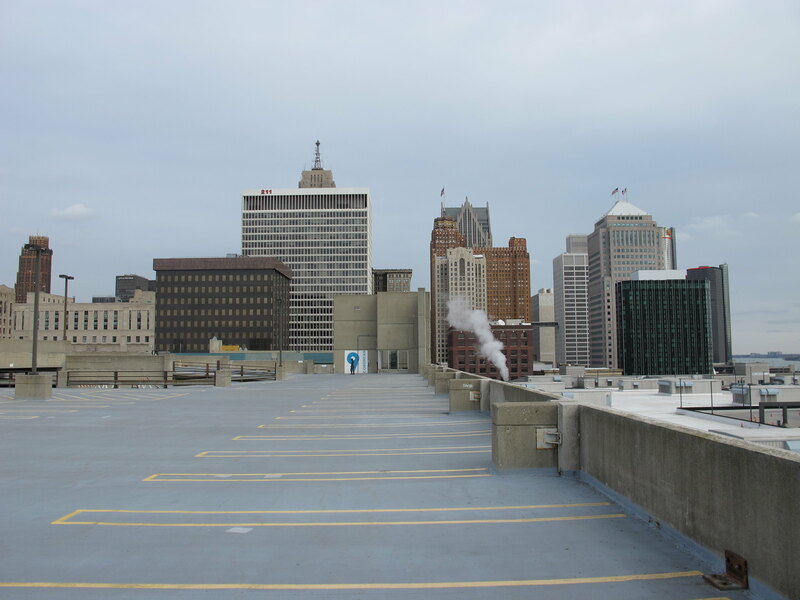 You can check out more of Lucy’s work at her website. In 1998, Empress, a band from Leeds, released their eponymous debut LP. In 2016, the United Kingdom voted to leave the European Union. 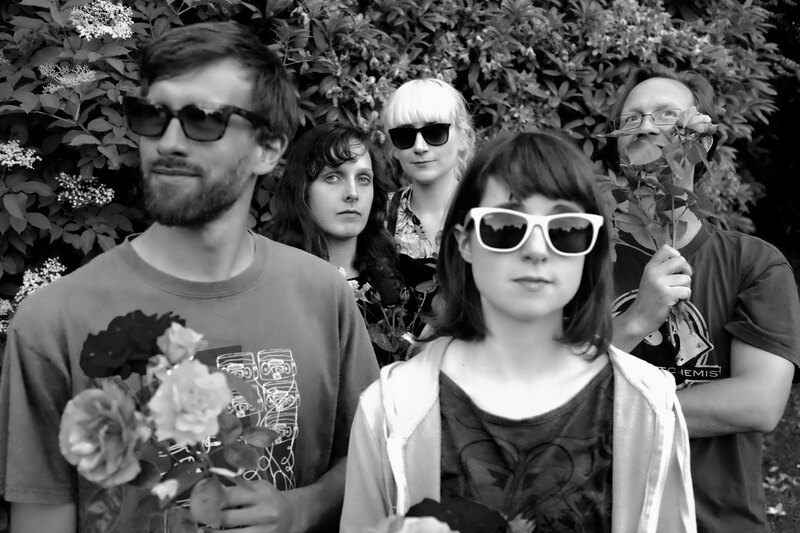 Living Body, a new band from Leeds, doesn’t think we should give up so easily. Dedicated to optimism and hope for the future, Living Body’s first single is a radically altered cover of Empress’s Don’t Give Up On Me. In celebration of a forthcoming tour and the possibility that all hope may not be lost, we are now offering the single as a free download from our Bandcamp page. We hope this may bring joy into the lives of others, and offer a break from the relentless mouths of politicians. Stay tuned for news on a full-length LP, which will be coming later in the year on Kingfisher Bluez in the USA & Canada, and Barely Regal Records in the United Kingdom & Europe. After all, if we are to continue to exist, giving up must not be an option.